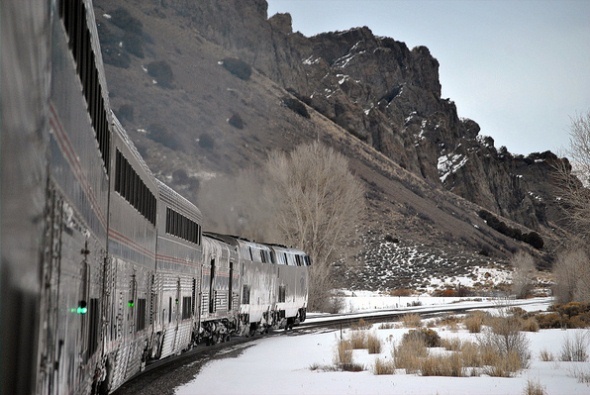 Taking Amtrak’s California Zephyr through the Rockies between Denver and Glenwood Springs is one of the must-dos in a Colorado visit. The six-hour trip takes passengers through the sort of scenery that makes passengers happy to occupy a viewing car. The route climbs from Denver up through 29 tunnels in South Boulder Canyon to the 6-mile-long Moffat Tunnel, which takes the train beneath the Rocky Mountains at an elevation of 9,239 feet. At the west end of the tunnel is the Winter Park Ski Resort and the town of Fraser, noted for its record-breaking cold temperatures in the winter, and then through the remote Gore Canyon, which is accessible only by train and kayak. The train continues through scenic Glenwood Canyon to Glenwood Springs and then Debeque Canyon to Grand Junction and on into Utah. Steven Seagal’s movie “Under Siege 2: Dark Territory” was filmed in part on the train route near Glenwood Springs. The train arrives and departs from the historic Union Station in downtown Denver.